It’s easy to tell why this light has its name; there is an ‘Eagle Eye’ takedown light right in the middle of the bar featuring 3 LEDs that produces 9-watts of focused brilliant light. It fits perfectly on the sun visor and is virtually invisible. The takedown light can be used alone or in conjunction with the 2 light units to either side, each with 4 Generation IV 3-watt LEDs. The takedown light can also be used as a dome light when more illumination is needed inside. 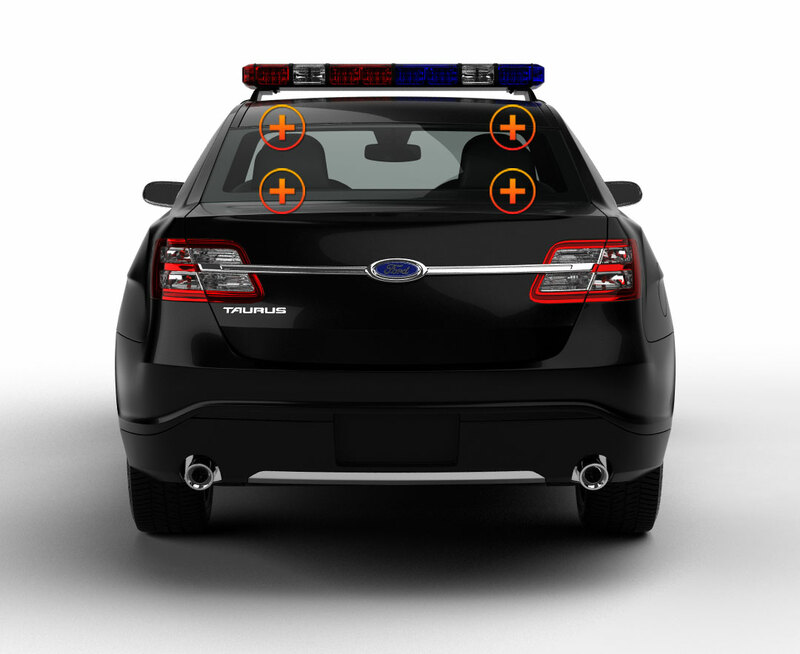 The Eagle Eye is attached to the visor with Velcro straps, making it perfect for undercover emergency vehicle lighting and police operations. Another great feature of the visor light is that the takedown light has 4 modes: Hi/Low/Slow Flash/Strobe. The power cord plugs into the cigarette lighter; it has two control switches: ON/OFF and one for the 26 flash patterns. There is a separate ON/OFF switch for the takedown light. The visor light also has a control panel on it. You choose the color: solid white, red or blue or 2 split-color combinations. Customize your unit today by selecting the colors that serve you best. The Eagle Eye Visor Light provides superior directional performance in every emergency situation. It hides on the visor of your surveillance vehicle until you want to be seen, and then when you hit ‘ON’ the area is flooded with light. It’s has astounding light output for its size, and the price is unbeatable! Extreme Tactical Dynamics is on the cutting edge of light design; we’re always thinking of ways to make our lights even better. That’s why customer input is so valuable to us; we consider everything you suggest when creating new products! I ordered this light to have something that appeared durable and inconspicuous in my vehicle. When it arrived, I was AMAZED how very bright this light is! 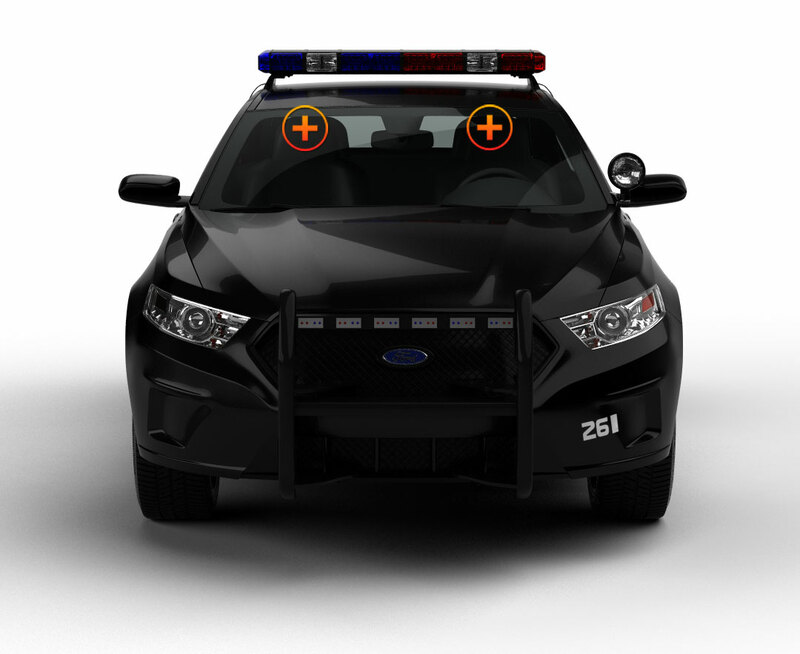 I HIGHLY RECOMMEND this visor light to any Police, Fire, or EMS personnel who wants the out put of a light bar without having a light bar sitting on the roof of the car! Or wants to add extra lighting to the front of their car! I guarantee this light will make your vehicle seen from thousands of feet away! Plus the strobing takedown light can't be beat! I checked the off axis visibility of this bar too and it is visible almost to 90 degrees! HIGHLY RECOMMEND!!! This is an awesome light! Light output is excellent even in bright sunlight and it has a wide variety of patterns. I purchased the blue/blue and with the Eagle Eye take-down light flashing in triple mode, it makes for a great traffic-moving light! So far the light has stayed firmly attached to the visor. This is a very good light at a very reasonable price. I would purchase again, and have recommended it to others. I received this light within 3 days of shipment and was so pleased with its performance; I had to write a review! This light is wonderful! Its bright, day or night. It moves vehicles over quickly. It has nice flash patterns along with the 3 LED Halo in the center to add the special 'attention grabber' and is also used as a nice dome light as well. Needless to say I was kinda worried about ordering from this site sense I hadn't ever before. BUT I will most defiantly be ordering from this site more often! Thank you "Extreme Tactical Dynamics"! -David K.